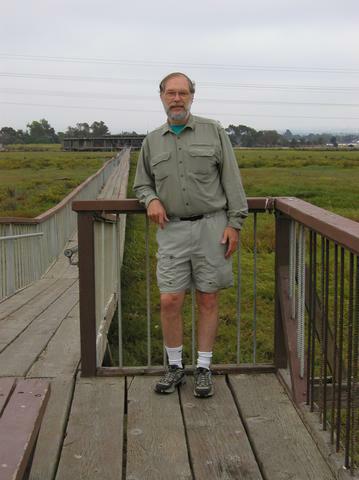 The end of the bird pier by the Lucy Evans Interpretive Center in Palo Alto Baylands Park is about as close as you can get to San Francisco Bay from Palo Alto, so that's where I started this journey. My wife Cindy dropped me off at the start, and I told her I'd call her later in the day to come and join me for part of the walk. 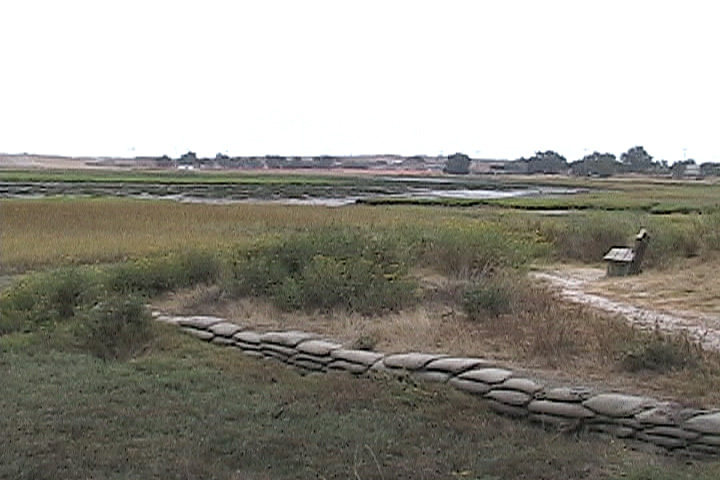 The Baylands has 120 acres of wetlands and marshlands, and a number of well-connected and scenic trails running through it. It's an easy walk to the E. Bayshore frontage road where you can cross Highway 101 on a pedestrian/bike bridge to Northern California Avenue. You follow Northern California Avenue southwest through a very suburban neighborhood until you reach the underpass at Alma Street. Crossing under Alma puts you into the Northern California Avenue business district, where there are many cafes and shops for refreshment. 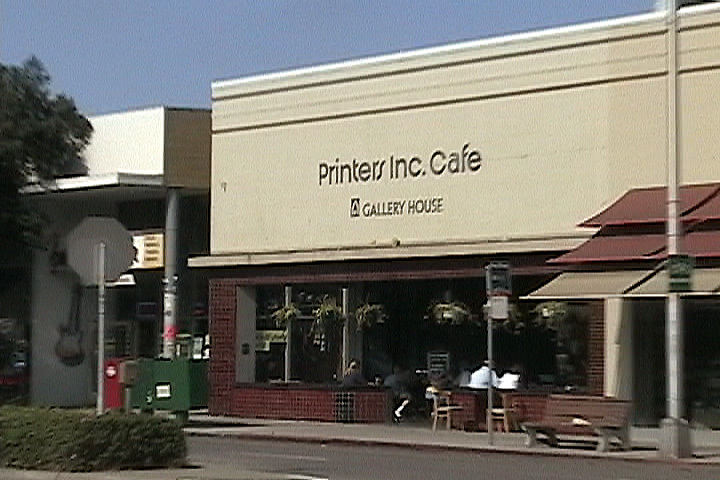 I stopped and had a coffee at Printers Inc. Cafe, one of my favorite hangouts. Continuing west, after crossing El Camino, I wasn't quite sure which way to head, so I continued down Northern California to the very end. To my surprise I found that there's a trail entrance at the end of the street, so I decided to take it, not knowing exactly where it would lead me. It was a good choice. 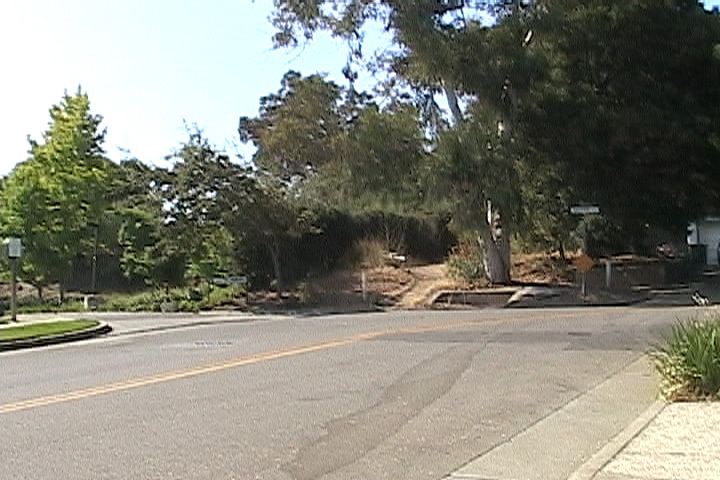 The trail provided a pleasant walk all the way to the junction of Junipero Serra Boulevard. 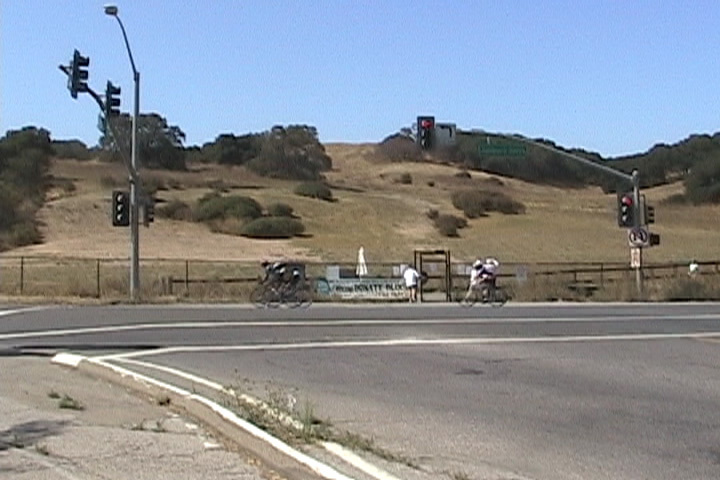 Unfortunately, there was no outlet at the corner of Page Mill Expressway and Junipero Serra, so I was forced to head north to Stanford Avenue to get out of that subdivision. I wanted to avoid walking on Page Mill, but at the moment there is no good choice. Either you come out on Stanford, far away from the next segment of the trip, or you have to hike on Page Mill. I was now on the border of the Stanford Badlands. 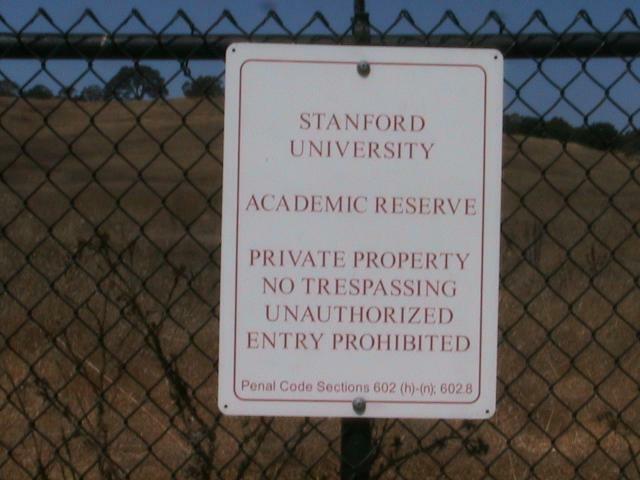 Stanford University, in its generosity to the public, has completely fenced off and restricted access to vital trail links connecting Palo Alto to Arastradero Preserve and other points west. Click on the picture to the right to see Stanford's greetings to the public. 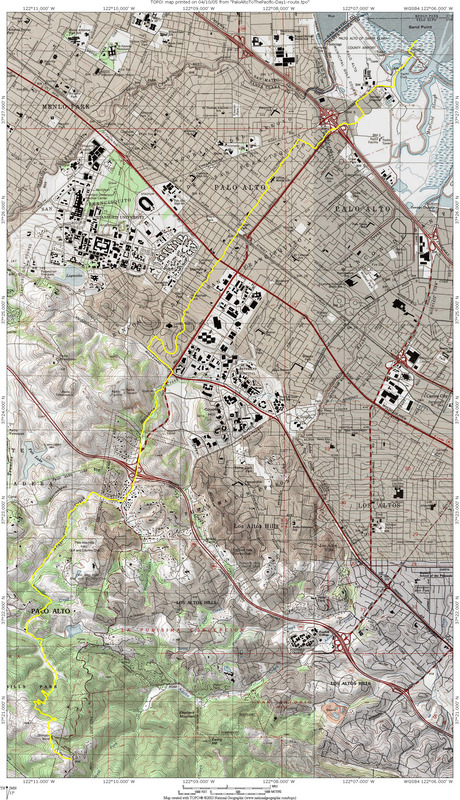 As part of a general use permit Stanford agreed to run two trails through their property to enable these vital connections, but the alignment of the trails they provided is an insult to every hiker, runner and dog walker in Santa Clara County. The trails are placed adjacent to major roadways, and do not allow quiet, scenic traversal of their property. The dispute is ongoing, and the connecting trails do not exist. Given this situation, the only solution is to walk along Page Mill Expressway until you come to Old Page Mill Road. Old Page Mill Road is fairly quiet, scenic and traffic consists mainly of fast moving bicyclists. 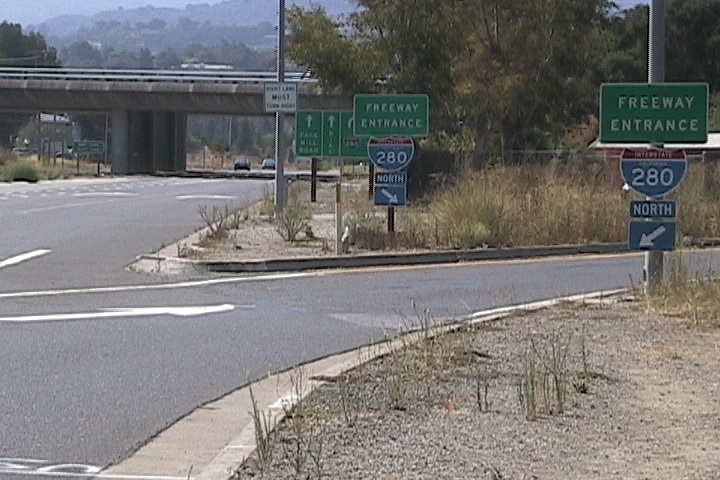 But when you come to the end you are faced with the challenge of crossing under Interstate 280, and there are numerous ramps to cross which have no provisions for pedestrians. Clearly, the link from Northern California to Arastradero Preserve needs some improvement, and was one of the least pleasant sections of Day 1. 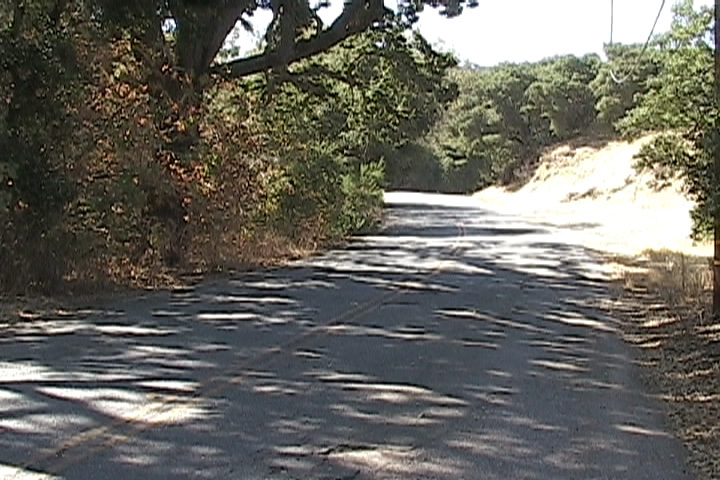 Once you've crossed the freeway, if you're not roadkill by now, there's a footpath on the east side of Page Mill which will take you to Arastradero Road and then to the Preserve. 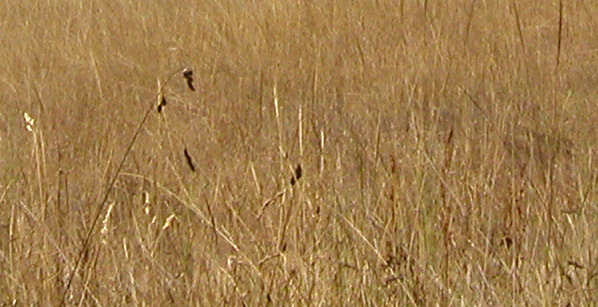 Arastradero Preserve is the initial entrance to a series of open space districts and parks which will now take you to the Pacific with nearly no other contact with urban environments or roads. 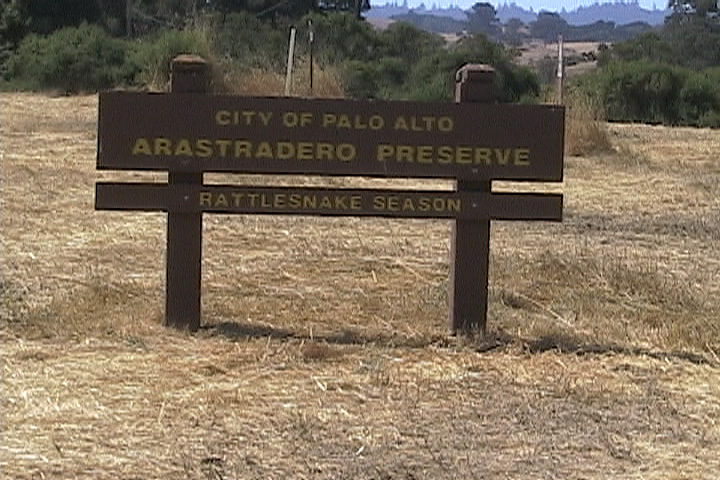 The Arastradero Preserve is a 609-acre park maintained by the City of Palo Alto, and there are numerous trails available which will get you to "Gate D", the connection into Foothills Park. I'd suggest taking the Juan Bautista de Anza Trail to the Arastradero Creek Trail which ends at Gate D. I originally missed my turn near Arastradero Lake, but easily reconnected via another route. Cindy joined me on this short stretch and took the Creek Trail back to the parking lot. I completed many of these trail segments in late August and September, when the land is dry and the temperature is hot. Be sure to carry sufficient water with you as the availability of running water, either on the ground or from a faucet may be severely limited or non-existent. Even though I'm a Palo Alto resident, it is technically illegal to enter or exit Foothills Park in any place other than the main gate. I did not know this when I crossed Gate D, but found out about the rule when I was discussing the connections to Los Trancos with a Park Ranger. In theory it's a $100 fine. 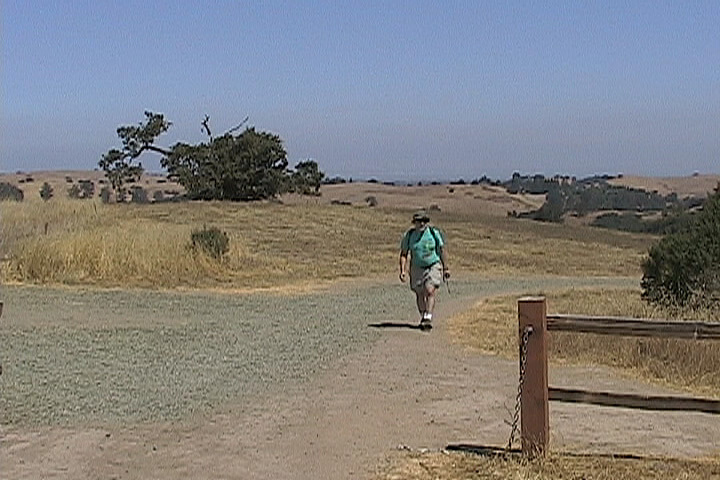 Foothills Park is reserved for exclusive use by Palo Alto residents and their guests (a subject of much controversy over the years). 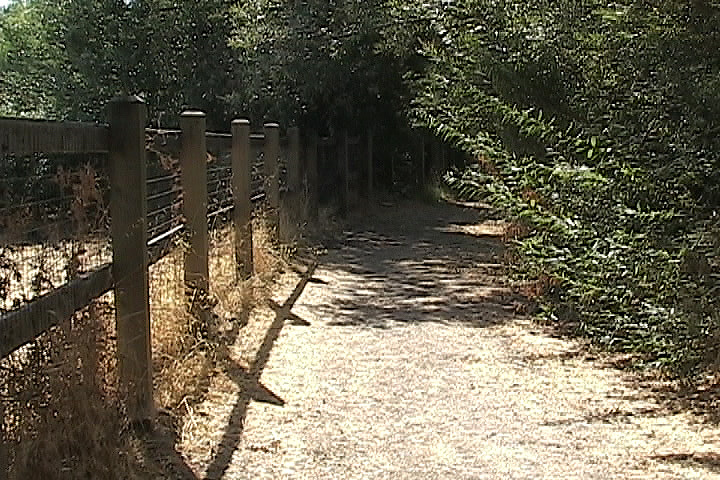 Fortunately, Palo Alto has recently agreed, as part of a land acquisition deal, to allow foot traffic to traverse the Park for those hiking the Baylands to Foothills Trail. This is welcome news indeed. Once inside the Park I followed the road southwest to the Nature Center (which has restrooms, water and refreshments) and from there the road to the Orchard Glen picnic area, the trail through Wildhorse Valley and then the Los Trancos Trail (I had intended to go straight up the Costanoan Trail but missed the connection). 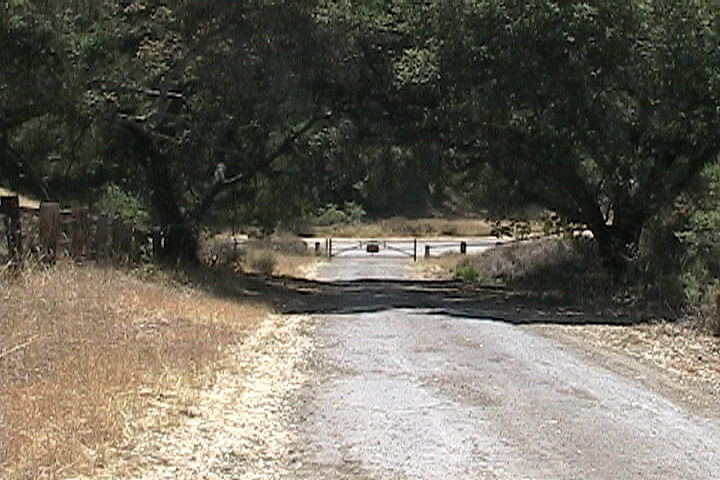 The Los Trancos Trail takes you to a fire road which exits at "Gate 4" near a hairpin turn, known as "Shotgun Bend" on Page Mill Road. 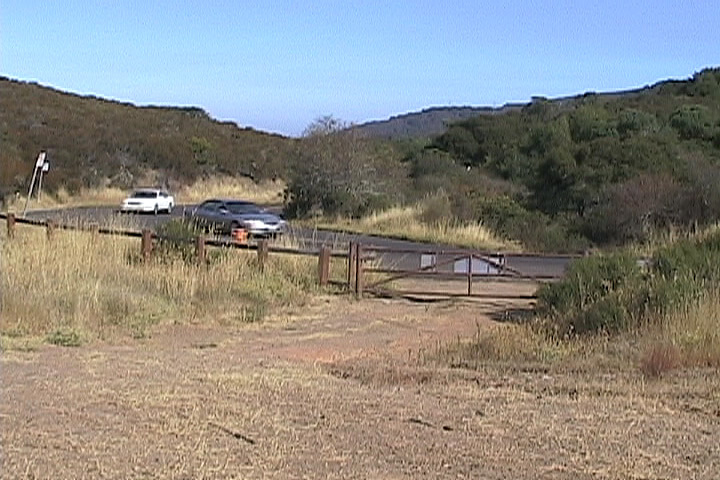 I exited Foothills Park at this gate (there were no signs posted that it was illegal to exit at this location). From there it is a short walk to the boundary of Los Trancos Open Space Preserve along Page Mill. This section of Page Mill Road is narrow, windy and absolutely a horrible place for a hiker to be. This connection is not recommended, is dangerous and I would not do it again. 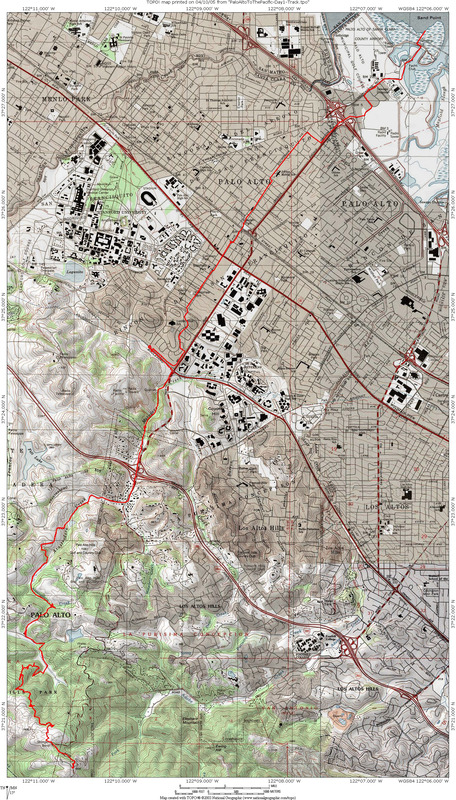 I have since learned that there is an undocumented connection from Foothills Park to Los Trancos using "Gate Z", which is accessed by taking the fire road south from Shotgun Bend and then east to the northern terminus of the Page Mill Trail in Los Trancos. Having made it to the entrance of Los Trancos, I called Cindy on my cell phone and asked her to come and rescue me. 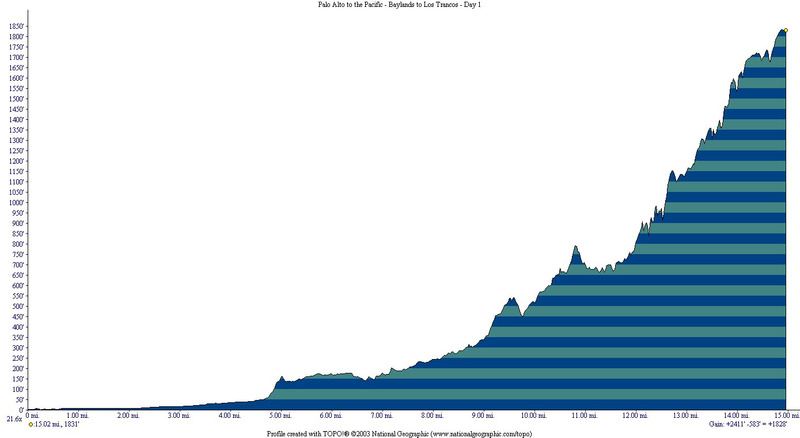 Thus ended Day 1 of my trek.